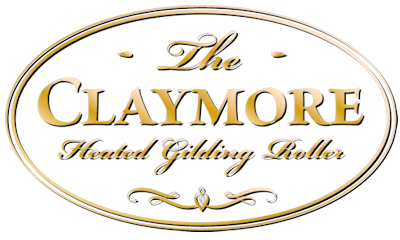 The Claymore heated gilding roller is a high quality temperature-controlled, silicone-covered brass roll with an ergonomic handle enabling the application of real gold leaf and foils to book edges, leather or paper etc. Background: We developed the heated gilding roller out of a desire to have the means to be in control. To prepare our books perfectly and to edge gild ourselves, so that we could be in control of every step. Of course there are traditional ways of edge gilding which give amazing results using egg albumin and gold leaf, but for many unless this is within your skillset, it is hard with a high frequency of failure. Real gold foil or even fake gold foil is easy to apply but you need the tools. It was clear that there had been several past products on the market, that fulfilled this function, but none were currently available in Europe, so we developed our own. We tried multiple designs and eventually we came up with the current design which is finely balanced, and can be temperature controlled through a simple power controller. But we believe this is much more than an edge gilding device, it can apply foils over patterns and letters hand scripted. It can be used not just on the edges of books but on the books themselves. 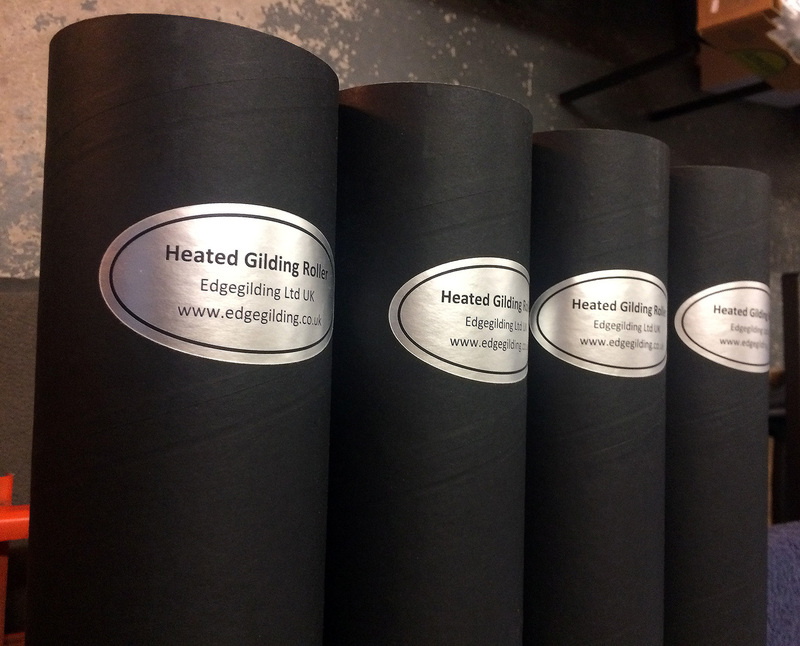 The uses of the edge gilding heated roller are diverse and immense, so please just discover for yourselves what you can achieve, and please share your experience with us. The Product: The Heated Gilding Roller is a high quality temperature controlled silicone covered brass roll with an ergonomic handle to enable the comfortable application of real gold foil or leaf, or other matrices such as hot stamping foils to book edges, book covers, leather or other applications. It has a temperature range up to 185°C with temperature set using a plug-in power controller. This enables the application of the many varied hot stamping foils to a variety of materials including book edges. Specifications: The edge gilding heated roller is CE tested and CE marked. Instructions for use: Detailed instructions are supplied. 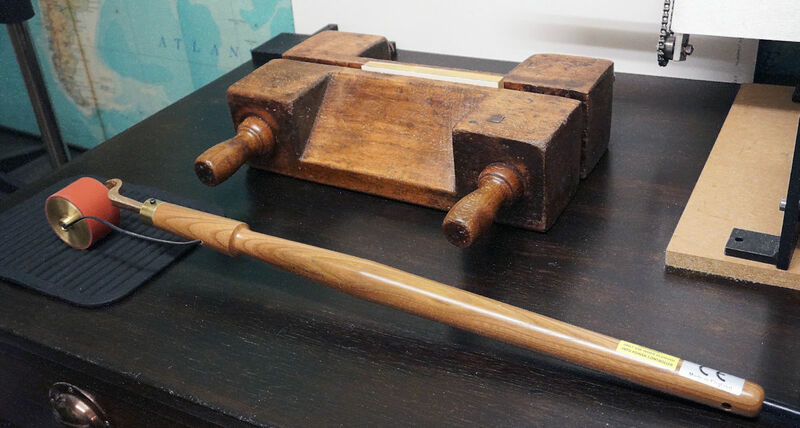 For the edge gilding of books, simply guillotine or plane the book edges, fix in laying press or finishing press between boards or gilding blocks. Prepare the edges by sanding to 500 gauge or by using a metal scraper. Apply 10-20% PVA in water and allow to dry, apply two coats. Lay the foil over the edge. Allow the edge gilding roller to heat up to ~150°C, whilst on the heat protective silicone mat (~30 minutes). And then simply apply the edge gilding roller to the book edge and slowly move the roller over the foil and book edge so that it adheres in one sweep (~20-30 seconds for a 6 inch book). It is best to get the foil to adhere evenly in the first single sweep, but after this you can go over the edge a few times if you wish. Simply peel the foil backing away from the book and you have perfect edge gilding. 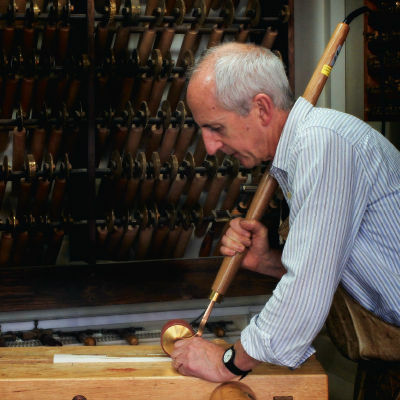 The edge gilding heated roller has many other uses over time, such as stencilling of designs or text, or applying crumpled matrices to paper, leather or card. 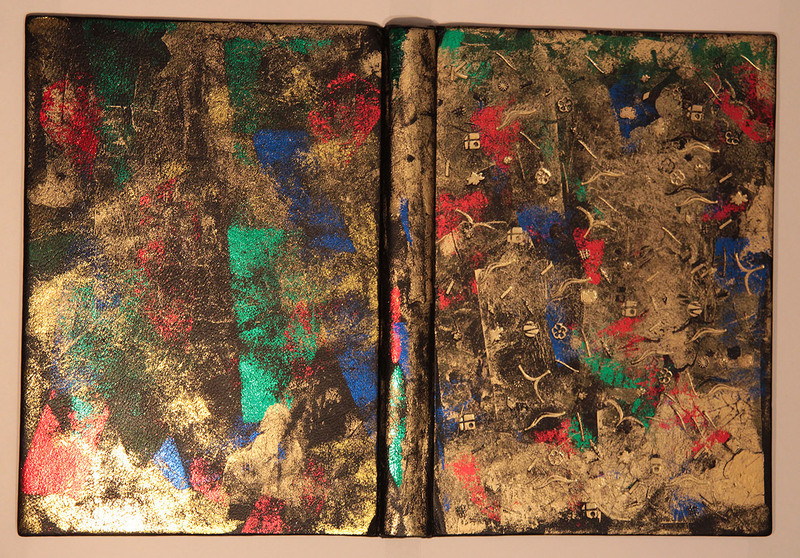 Learn how to creating decorative coloured leather, paper or book covers for case bindings. We developed the edge gilding heated roller out of a desire to have the means to be in control. 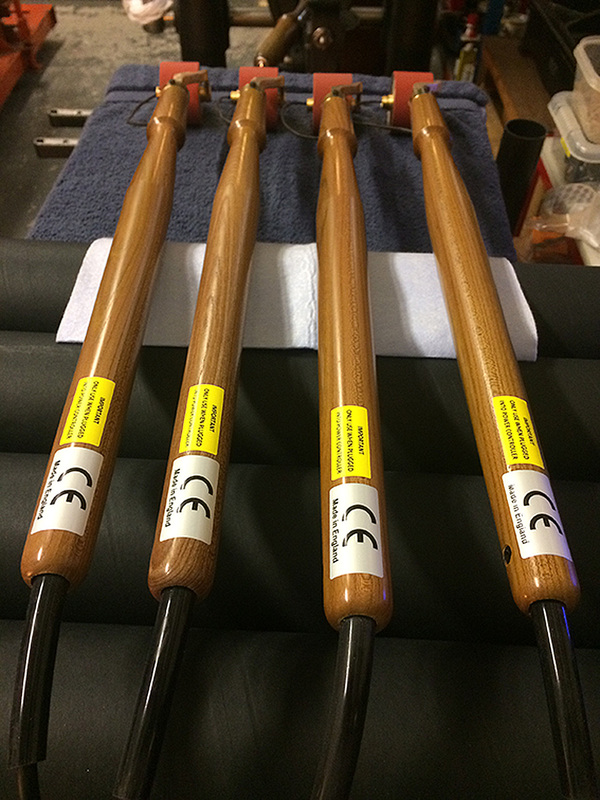 Photographs of The Heated Gilding Roller's high quality silicone covered brass roll and ergonomic handle. A selection of videos demonstrating how easy The Heated Gilding Roller can be used to deliver quality results.